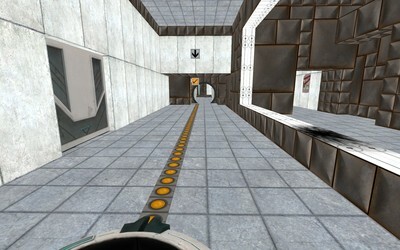 Description: Short to medium length map with around 4 chambers. Description : Short to medium length map with around 4 chambers. Previous knowlege of portal will help but not required. My first map so don't expect anything too spectacular. Thanks. About : A medium-length map consisting of around 4 chambers. Each chamber should give adequate information for any player to complete but previous knowledge of portal has been show to have helped players. Map should run smoothly enough and hopefully all the major bugs have been fixed. As this is my first map it wont look or feel as good as others during play but I am trying to improve. Thanks. Recommendation : Look out for numbered overlays and arrows, these will show the way to go first. 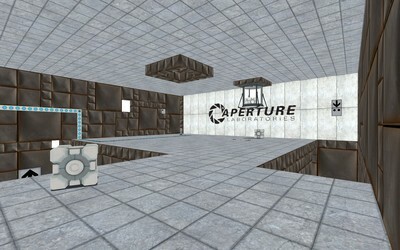 Portal ® is a registered trademark of Valve Corporation.